The major players in the Goa assembly election 2017, scheduled to be held on February 4th, are the Bharatiya Janata Party and the Congress. 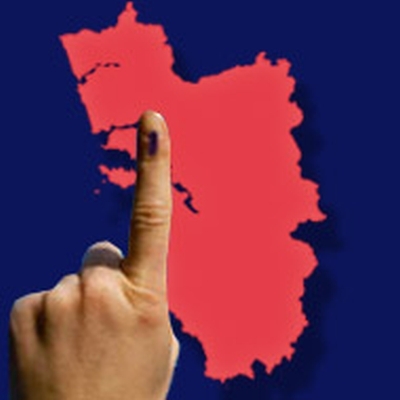 In the 2012 elections, the BJP contested along with regional heavyweight, Maharashtrawadi Gomantak Party, and secured a majority (21 are needed) in the 40-member assembly to form the government. This time around, the the BJP and the Congress are contesting alone. The Aam Aadmi Party is making its debut in the assembly elections. The regional parties -- Maharashtrawadi Gomantak Party, Shiv Sena and Goa Suraksha Manch -- have formed an alliance. Rediff Labs analysed the 2012 Goa assembly election results and merged it with 2014 Lok sabha election results to develop a Sentiment Meter for the 2017 electoral battle. The 2017 Punjab election sentiment meter is here!